Your gift, no matter how large or small, will bring comfort to those in need. 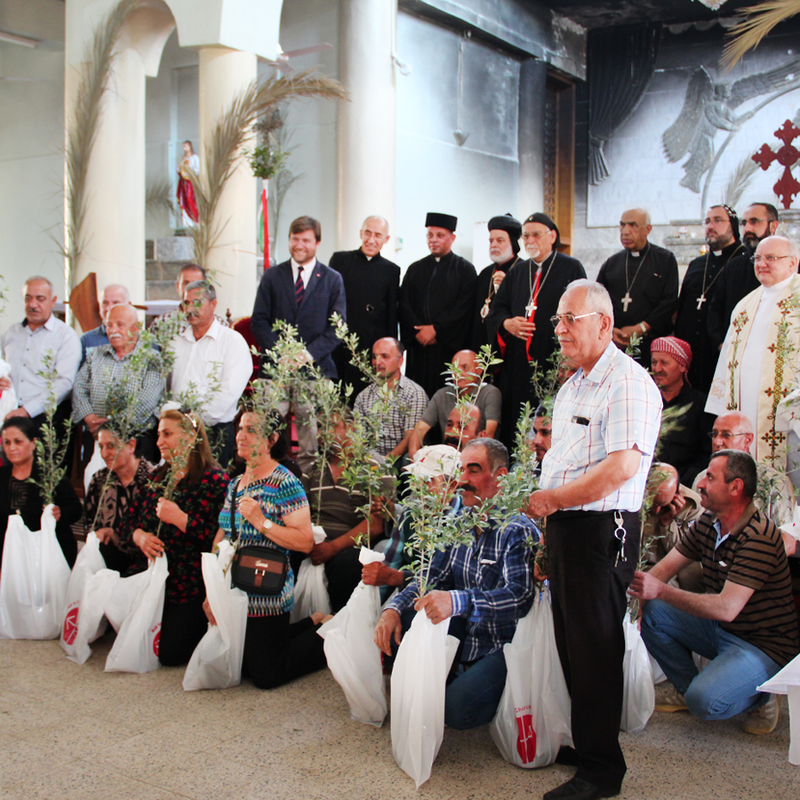 Christian communities in Iraq who were forced out of their towns and villages by the extremist group Daesh (ISIS) now have a chance to return home to rebuild their livelihoods in the Nineveh Plains. But they need our help, as the cost of rebuilding is a huge undertaking. Christians in Iraq have suffered some of the world’s worst persecution threatening the Church’s very survival in the country. Thanks to the kind benefactors of ACN, we have been able to sustain them in every way with food, medicine and shelter while living as a displaced community in Kurdish northern Iraq. ACN is committed to repairing hundreds of homes where widespread destruction was carried out during Daesh (ISIS) occupation of the region from August 2014 to October 2016. It costs on average £7,000 to repair a home and around 13,000 families are waiting for their homes to be restored. Your kind gift of £2,000 could help towards repairing a bomb-damaged home for a Christian family.